I am happy to announce a new service of On Techies. A job board. There are many tech job openings in the city of Austin and other cities around the world; On Techies wants to help by exposing great techie jobs to all geeks in Austin and around the country. This job board is going to include just a limited list of tech jobs which will be exposed to people who read this blog, that are part of our LinkedIn group and also followers of our twitter accounts @ontechies and @jobsfortechies. The job board will only include tech related jobs, and we are starting with the city of Austin, TX. All job listings will be available to anyone that wants to apply and companies would be able to post tech related job openings for a flat fee. We believe that by charging a premium fee the list of jobs will be kept short, the jobs will be of high quality, it would help us keep the job board clean of SPAM and other non-quality jobs. The job board will feature 7 categories, Programming, Design, Copywriter, iOS Developer, Business, Miscellaneous and Tech support. The categories might change overtime but this is what we are starting with. I hope this becomes a good resource for all of you techies looking for great jobs with great companies in town and around the country. The jobs posted in this job board will be also listed in our LinkedIn group and we’ll be tweeting about them using the Twitter handle @jobsfortechies. 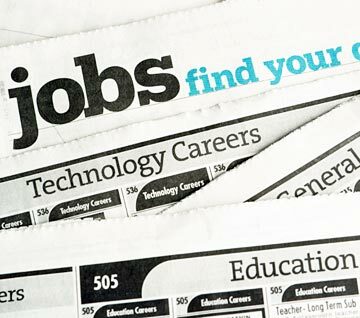 You can find the new Job Board at http://jobs.ontechies.com or by clicking on the Jobs tab above. If you have any questions or have any recommendations please leave me a comment below, I’d love to hear your ideas and feedback. Thank you! Excellent blog post, I count on updates from you.